The service department at Chomedey Toyota Laval has your satisfaction at heart and you will notice it from your first visit. At Chomedey Toyota Laval, everything is done to surpass your expectations. When a team of technical advisors and technicians are passionate about their work and Toyota products, it's easy to provide good customer service. 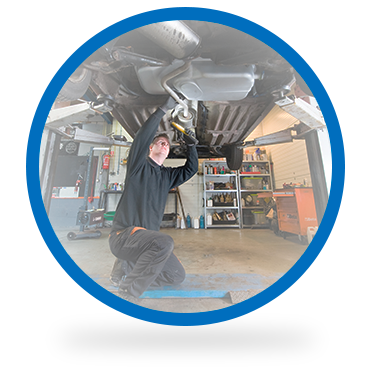 At Chomedey Toyota Laval, we offer our customers an ultramodern maintenance center equipped with state-of-the-art equipment and a team of technicians with many years of experience in Toyota vehicle maintenance and repair. At Chomedey Toyota Laval, everything is in place to ensure your satisfaction including a shuttle service that allows you to keep your day moving without a hitch. While waiting for your vehicle, enjoy our comfortable waiting room or request a shuttle service to drive you home. Courtesy vehicles are also available. At Chomedey Toyota Laval, we make every effort to make your life easier. To ensure the reliability and resale value of your Toyota vehicle, trust Chomedey Toyota Laval for maintenance and service. Book your appointment today.